March will afford Escondido residents a chance to attend Town Hall meetings with two of our elected officials. US Congressman Duncan Hunter will hold a Town Hall meeting on March 11, 2017 from 10:00 to 11:30 AM: Representative Duncan Hunter’s Town Hall will be held at Ramona Mainstage, 626 Main St., Ramona, CA 92065 It will be first-come, first-serve seating. These will be good opportunities to communicate directly with elected officials. In both cases it is advised to arrive early. Don’t miss this years SEEDFEST and movie night at Terra Madre Farms on March 25th at 1-9 PM. Spend a day of celebrating seeds. SEEDS ARE AT THE CORE OF OUR VERY EXISTENCE. 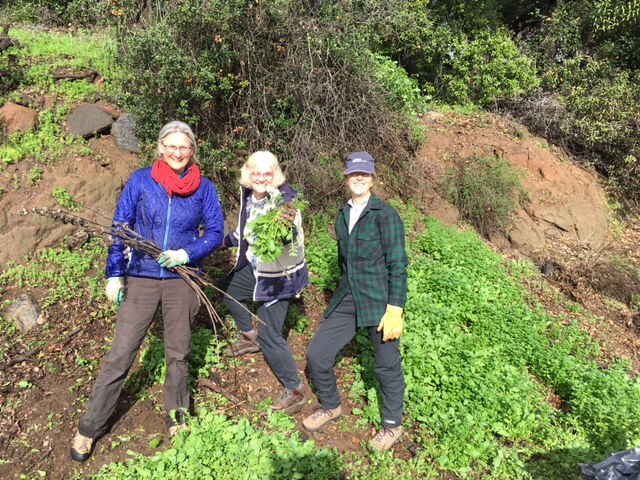 The Watershed Weeders did get shut-out by rain last week, but we are up and running for the next few Tuesdays at 9 am. Please come join us with your own gloves and hats if you can. We don’t work hard or long, but we make a big difference! After the rains, we had a chance to visit the Felicita Vida Assisted Living facility on Felicita Road. 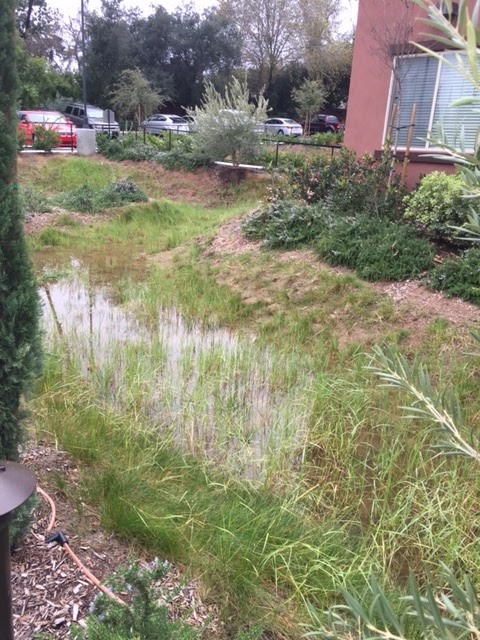 Take a look at the fantastic and fully functional storm water measures or Best Management Practices that were implemented there. It was also fun to see multiple egrets walking and hunting in the ponds too! 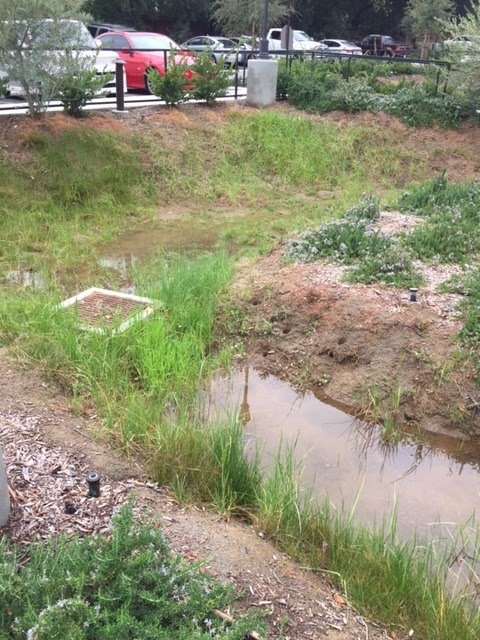 A great example of storm water measures incorporated into new development and working well to reduce erosion in the creek and protect water quality. It appeared that these infiltration basins were well-maintained and working beautifully. 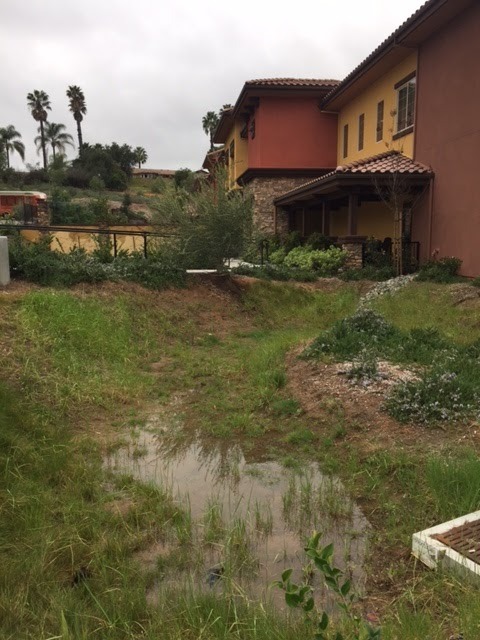 Bottom-line, stormwater protections WORK!!! 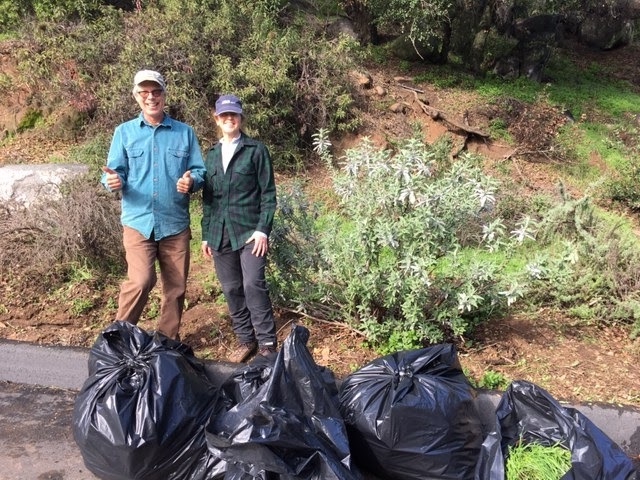 Thank you and our first Stormwater GOLD STAR to Felicita Vida!